Union shako hat pin, 3-1/2”x4-1/2”, with eagle and ribbon in beak “E. 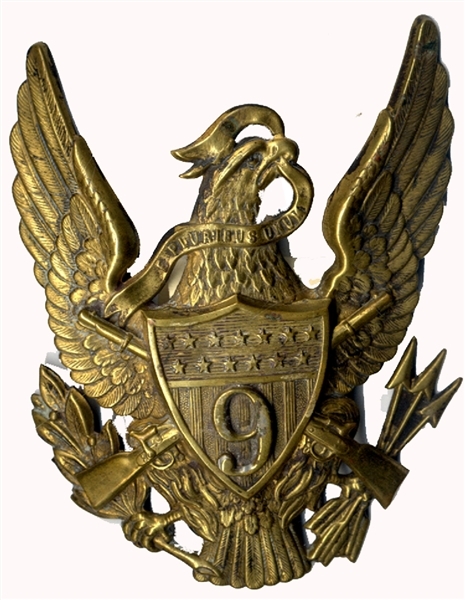 PLURBUS UNIUM” and shield with “9” emblazed at center. White metal. Fine condition.